Yet another anticipated 2018 release that was on my list, and after completing it last night, I was left stunned. First off, this story is told in two perspectives, which is my type of novel especially when you include the audiobook in the mix because their are multiple or more narrators. For this one, there was two, and that was so much fun. The story begins with Kestra getting kidnapped, which was a huge surprise to me for that being in the first chapter. I thought it would’ve happened around chapter two or three, but that was not the case at all. Second, I was shocked to find out this novel was told in multi-perspective. I listened to the audiobook which I highly recommend if you are a little hesitant with picking The Traitor’s Game up. The audiobook has two narrators – female and male – and, honestly, it made the story fun and their voices were calming and relaxing. 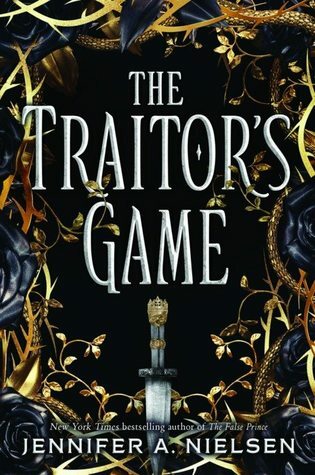 Last but not least, since The Traitor’s Game was one of my 2018 anticipated releases, I am very pleased that the beginning of this year has remained strong for my reading.